How often do you like to sit down and read a mushy romance book? How often does your heart just melt while you’re reading one? Have you ever wanted to write your own romance? 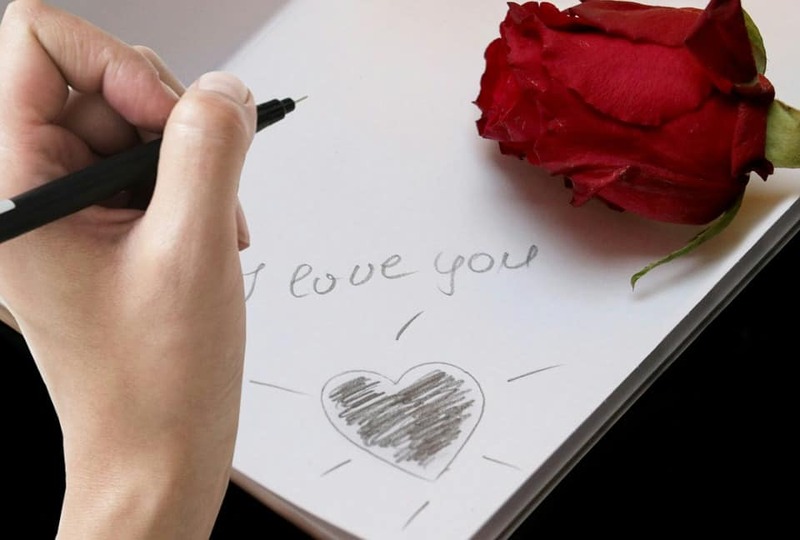 If so, then you’ve come to the right place.So, without further ado, here are the 8 steps to write a heart melting romance. It may come as a shock, but quite a few people who want to write a romance, or even do write one, do not read any. The thing is, that if you’re not interested in that genre as a reader,it’s going to come across in your writing, making it seem bland. If you’re not very into reading romances, that’s fine, but make sure to read a few before even attempting to write a romance. It may seem unbelievable, but all romances do follow a formula. It doesn’t matter if every single romance you’ve read seems to be different, there are three things that every single romance ends with. A hero the reader will love and a heroine the reader will sympathize with. A believable conflict. Something that will keep the protagonist and the hero/heroine away from each other (Not an argument that can be solved with a ten minute conversation). A happy ending. The couple doesn’t have to get married or ride off into the sunset, they just have to be happy with each other. And that’s the framework for any romance novel or story. Just three simple steps. Now, some different types of romances may require a few more basic steps, but this is a good place to start. People read romances because they want to feel something. You can’t just ignore that and write everything in a matter of fact style. You need to include all the feelings the protagonist gets when they see their love interest. You need convey all the love a character has for another, with only words. This will often mean that the hero and the heroine will need to make a large sacrifice in the name of their love. Make sure to make both of the sacrifice seem equal though. You don’t want to have one person sacrificing their job, and the other sacrificing a pet or something. Relationships require mutuality. Although you do want to include plenty of mulling about in a character’s head, thinking over a kiss or a potential romance, you can’t spend the whole story doing that. It need to keep moving on. Now, this doesn’t mean it all need to be intense scenes that don’t seem to stop, it just means that the characters need to be doing something; Going to work, talking to people, everyday things. If you are writing a romance it’s important to never change points of view in the middle of a scene. This will take away from the emotional potential of the scene. It can become confusing for readers. And it’s a big turn off for publishers or anyone considering buying it. Not to say you can’t change points of view in other parts, but stick to one person’s point of view per scene. Unless you have an extremely strong reason for doing otherwise that is. In many romance stories, there is a lot of world building and character building that needs to take place. This is wonderful, and can tell readers that you’re putting a lot of thought into your story, but the romance always needs to be front and center to the plot. It’s understandable if you want to take a section of the story and intertwine it into some off scene thing, but somehow, everything should still pertain to the main romance. If your protagonist wanders off twenty pages in and doesn’t appear in the main storyline thinking about a romance or relationship with someone, then you’re story is no longer a romance. Make sure you stay focussed on the main romance. Even in the tamest or romance stories, your readers need to know that the characters are attracted to each other. After all romance is to some extent based on physical attractiveness, and that is what readers will look for. Two characters who are both attractive and in love. If all your characters do is kiss, that’s fine, but a reader need to know about it, because that is part of the story. desire and attractiveness are important parts of a romance story. Readers like to see that characters are truly in love in that way. In some romance novels a protagonist will die. This is a little straight forward, but it is true. Sometimes a writer will choose to have a protagonist die. There is nothing wrong with this, and in a way it adds to the tragedy or love in the story, but you can’t go overboard. Don’t have a lover die in the first few chapters unless the rest of them will be flashing back and talking about how the person who died and someone else fell in love. Don’t have a lover die in some boring way, unless it’s of old age in a happily ever after type story. Don’t have a character murdered unless this is a story where the character’s lover is solving the murder and it shows their relationship or the character who dies is unimportant and someone new becomes the detectives new romance. It is a long list of don’ts, and there are more, but many of them are obvious. Of course, if you want to, you can make your story a romance and tragedy like the movie Titanic. That movie is a wonderful example of tragedy, but it still is a romance, and it’s a wonderful story to take notes from. There you have it. The eight steps to writing a sensational romance novel that is sure to satisfy every romance nerds dreams for reading!